The piquant tanginess and elegant sweetness in the passion fruit juice brought in memories of that happy taste of summer. KOCHI: The piquant tanginess and elegant sweetness in the passion fruit juice brought in memories of that happy taste of summer. The spicy dried meat, which is the perfect team player when it comes to a full course traditional Kerala lunch, played a celebratory beat to the organoleptic senses. GroFarm’s stall at the two-day Christmas fair by Sankalp was indeed a crowd magnet.One expects to see a woman’s hand when it comes to homemade food stalls but surprisingly there were two men whose faces lit up when they started explaining about their wide range of products such as pickles, jams, traditional snacks, juices and concentrates. In a fraction of a minute, there were around 15 people gathered near the stall, shamelessly shouting out their orders. Little did Nevin Joseph, who worked as an IT professional for over 10 years, know that he would work towards reviving the flavours of Kerala and promote safe food. ‘We do not use preservatives or chemicals’ might seem like a cliché statement today as many organic products have their tagline as ‘preservative free’. GroFarm focuses on not just that but also on creating a platform for authentic homemade products and giving an identity to homemakers.The idea was conceived six months ago when Nevin found that there is a growing demand for chemical-free homemade food. According to him, there are many women in the state who are better cooks than the professionally trained ones and he wanted to help them channelise their talent in the right manner. “We want to make this a stable income-generating platform for planters and farmers by procuring their farm produce at best prices with ready payments and then supplying them to homemakers who are passionate about cooking,” he said. His younger brother Joel Joseph, an automobile engineer, is working in this venture too. “It was a risk for us to leave our jobs and get into this but we knew that neither recession nor inflation affects the food industry. People invest a lot of money on food and we wanted to bring in a change by introducing safe food so that the money spent is purely for the customer’s nourishment,” said Nevin. GroFarm has over 1,000 customers in this short span of time. According to Joel, the number is increasing drastically with an average of around 100 new customers every week. “We get weekly orders for around 200 bottles of passion fruit concentrate. 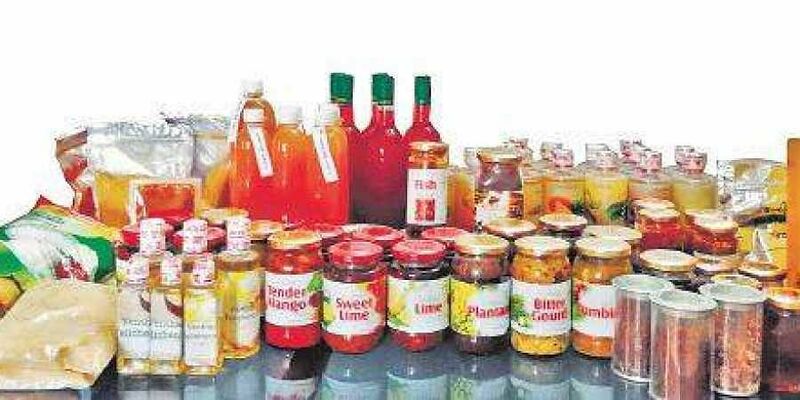 We also customise the products according to the buyer’s needs as we want our customers to enjoy our products,” he said. GroFarm currently operates through restaurant and resident associations but the team is set to open four outlets in Kochi by February 2019. “We will be starting an online platform for GroFarm in order to reach more people and to enable the customers to know where their products come from. An idea which is similar to Pinstove is also running in the back of our head so that we can rope in more people, both men and women, who are passionate about cooking,” he said.